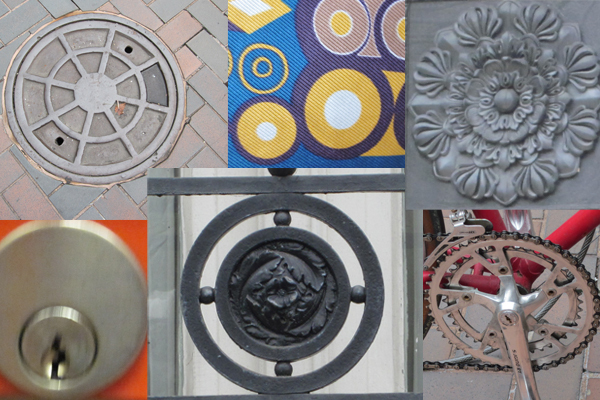 Seeing bulls-eyes in sewer lids, gates, bikes, and more. 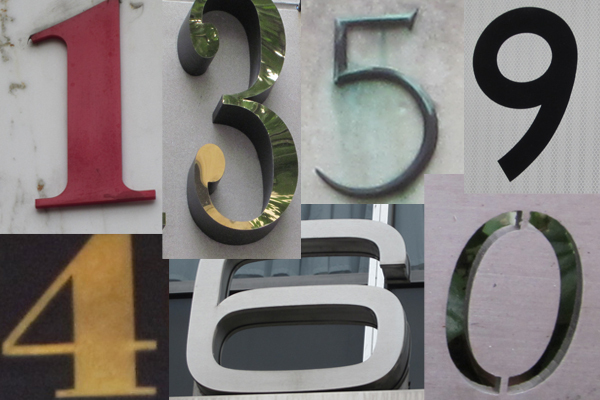 Numbers on houses and street signs, especially when stenciled, remind me of Johns’s multiple 0–9 series. Is that a crosswalk, or a flag? Stairs, or stripes? 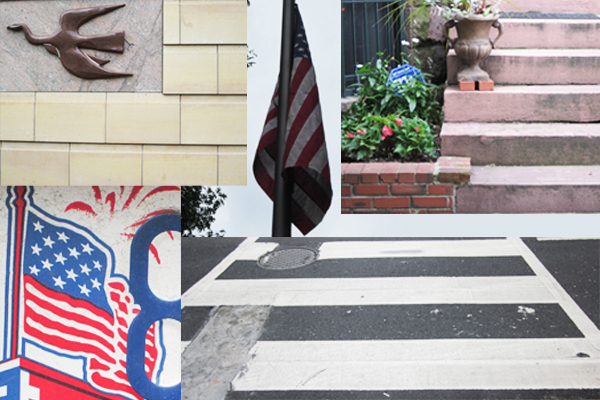 And these examples were collected in just half an hour of walking around the neighborhood with a camera. I have a feeling that I’ll be seeing echoes of the Jasper Johns exhibition long after it leaves the Phillips in September. We’ve been talking about Jasper Johns around here for a while working towards our summer show, Jasper Johns: Variations on a Theme. 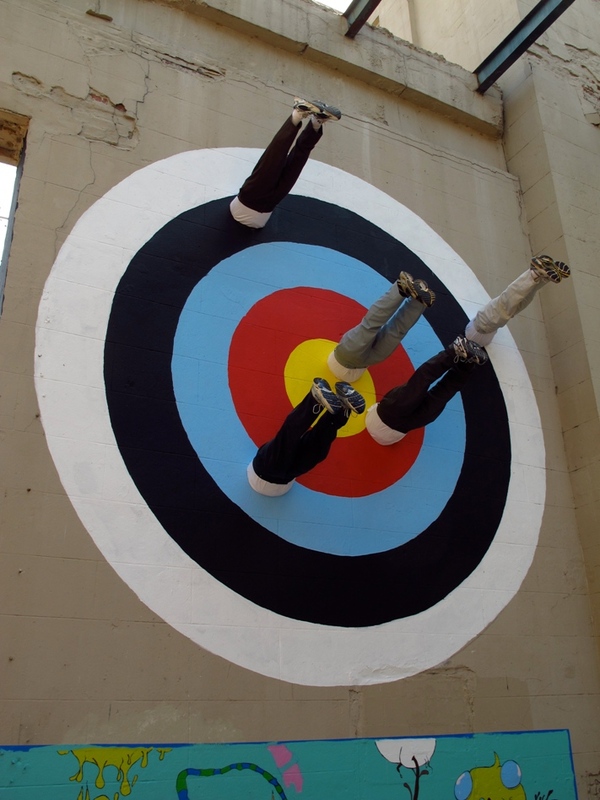 In Virginia over the weekend for the Richmond Street Art Festival, I saw this work by Washington D.C. artist Mark Jenkins, a surreal variation on the theme of targets that I don’t think Johns has tried.